Sally Morgan's verse novel might be for emerging readers but its simple words cut to the heart of what it was like to be one of the stolen generation. This precious story should be essential reading for everyone, not only those interested in Australian History. From the moment of kidnap through losing her name and being banned from speaking her language, Annie struggles to cope. The shock is so great, Annie loses her voice until another girl in the same position shares her heart, her brother and the crying tree. Despite being plagued by dreams of her lost family, Annie learns to trust again. Janie and her little brother Tim become Annie's new family but all is not well. 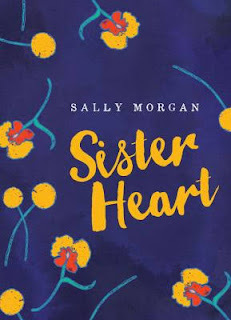 While Sister Heart sets out the facts of life for stolen children, each stanza reveals from the inside what devastation this Government Act wrought. Compelling reading for all ages: no wonder it won the 2016 Prime Minister's Literary Award for Children's Fiction.